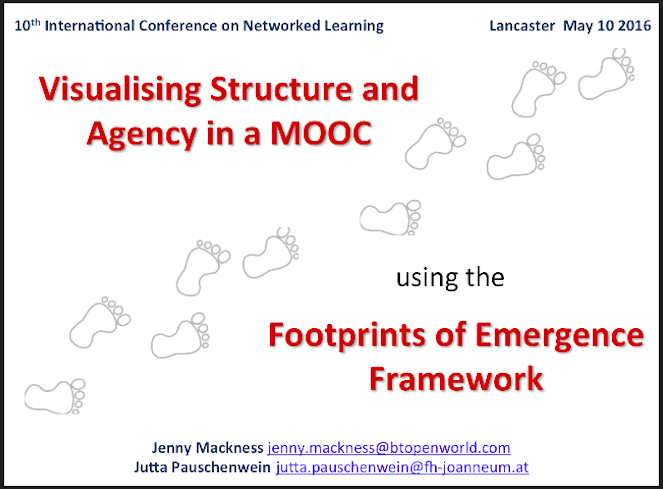 Tomorrow (Tuesday) Jutta Pauschenwein (@jupidu) and I will give a presentation at the Networked Learning Conference 2016 in Lancaster about the work we have done together using a visualisation tool, Footprints of Emergence, to try and understand more about how learners and course designers experience the relationship between structure and agency in a MOOC. 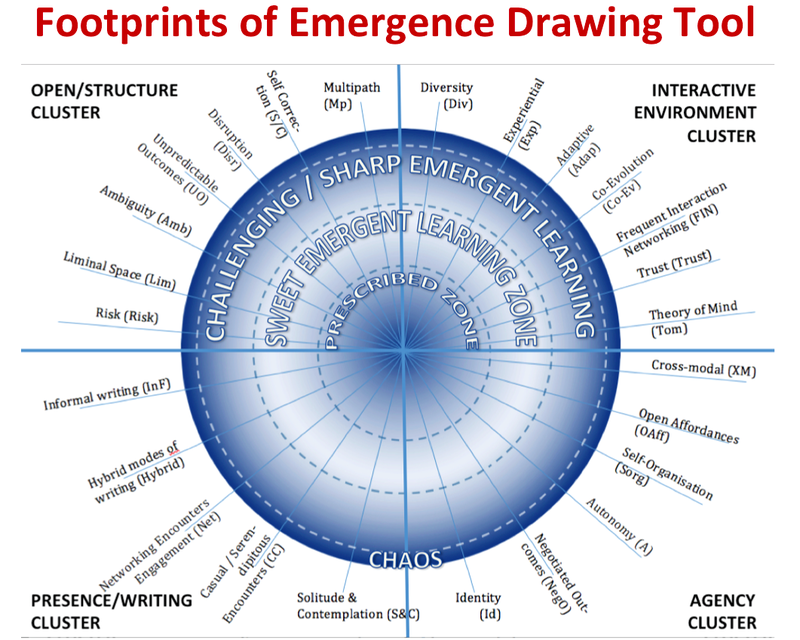 We have been working with the Footprints of Emergence framework for a number of years. The framework was developed in collaboration with Roy Williams and Simone Gumtau in 2012 and over succeeding years we have published papers and run workshops about it – even one at Lancaster University a few years ago. I included references to our papers in my last post – Presenting at the 10th Networked Learning Conference, Lancaster. 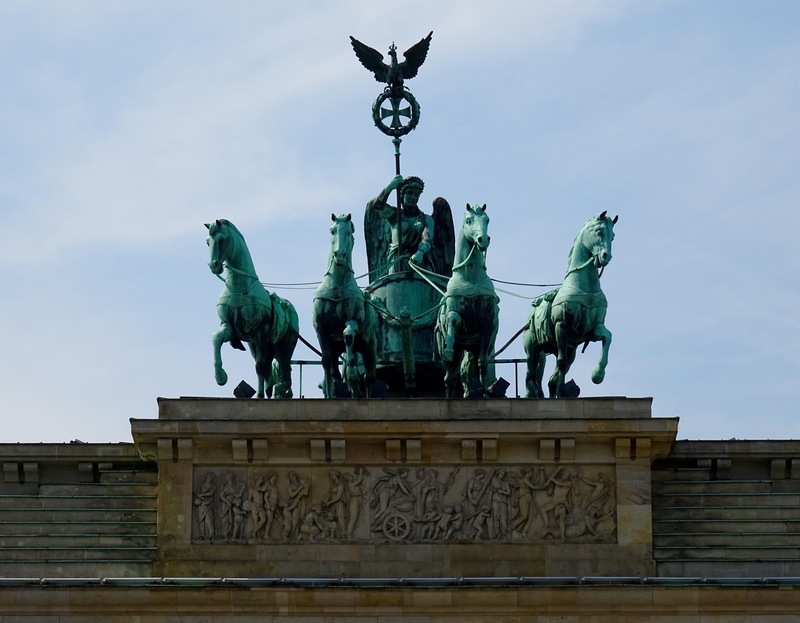 Jutta has used the framework extensively with learners and teachers at her institution in Graz, Austria. 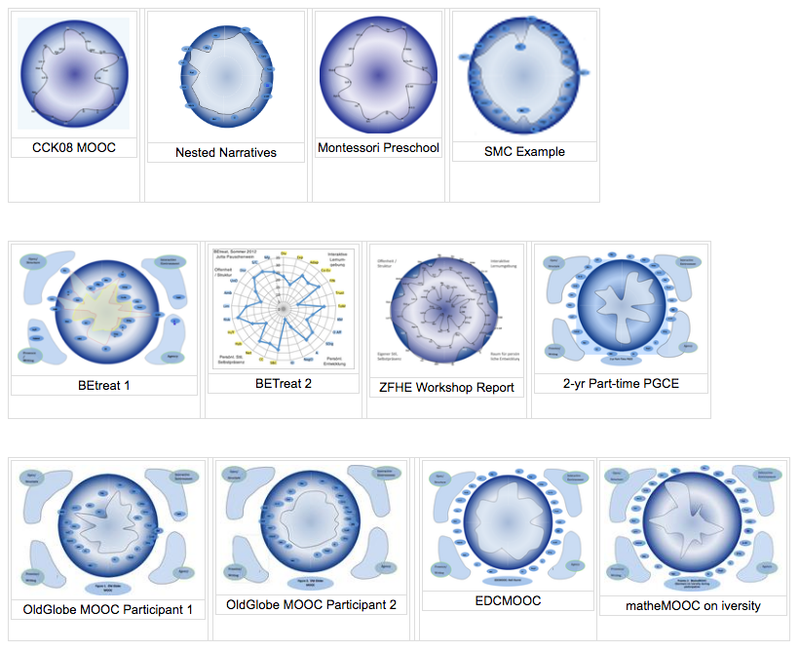 The Footprints of Emergence drawing tool requires users to reflect deeply on 25 characteristics of open learning environments (factors), which are organised into four clusters. Learners consider how prescribed or emergent their experience was in relation to each of the factors and indicate this by placing a point on the relevant line on the template. This process results in a ‘footprint’.